Super Genius was invited to develop a digital and social media strategy for lia sophia, the largest jewelry company in the Direct Sales business; and following that to oversee creative/digital development of the brand presence in key social media platforms. Our challenge was to transform a $300mm “celebrity driven” fashion jewelry company from a strictly “face to face” marketer into a socially savvy operator. How could we use social to support the women who are the heart and soul of this brand? 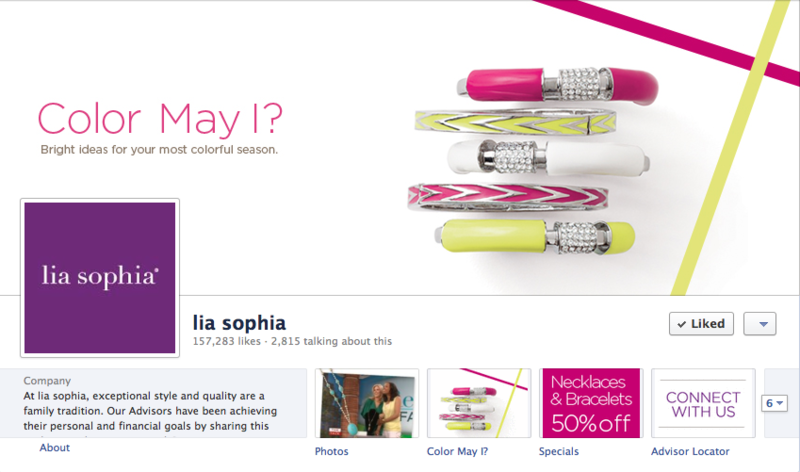 Our solution began with the launch and promotion of a robust FB presence (facebook.com/liasophia). More than just wall posts and some photos we launched with tools to help newbies and veterans alike succeed, including: A virtual jewelry application to enable pass along and a rich library of personal stories designed to inspire and motivate. Coming up will be a web series modeled on “Project Runway” where young jewelry designers compete to be featured (to launch on Youtube/FB). Our Facebook platform attracted over 26,000 fans in the first 3 weeks via grassroots word-of-mouth and is now well over 150,000. Based on this success, lia sophia was invited to present their Facebook case study to the Direct Sellings Association conference.